Check out these 15 things to look for! All sorts of questions arise when choosing a new digital oscilloscope (DSO) — it can be somewhat daunting! Where will you use the scope (on the bench, at a customer's site, under the hood of a car)? How many signals do you need to measure at once? What are the maximum and minimum amplitudes of signals that you need to measure? What is the highest frequency of signal you need to measure? Are your signals repetitive or single shot? Do you need to view signals in the frequency domain (spectrum analysis) as well as the time domain? Cost is always a factor too. Consider capturing good ol’ USB1.1 data: A frame of data lasts 1 ms and has serial data transmitted at 12 Mbps (or a 12 MHz square wave for 1 ms). Bandwidth: To measure the 12 MHz signal, a scope needs at least 50 MHz bandwidth. Sampling rate: To reconstruct the 12 MHz signal, a minimum sampling rate of 60 MS/s is required for five points per waveform. Memory depth: Capturing data at 60 MS/s for 1 ms requires a minimum memory of 60,000 samples. Should you use traditional bench-top, handheld, or PC based scopes? A bench-top scope will usually have the highest performance — and cost, but it’s ready to use as soon as you turn it on. Features such as mixed-signal capabilities and decoding options are often available at added cost. Handheld oscilloscopes have obvious advantages for an engineer on the move, but beware of poor displays (difficult to read in sunlight) and short battery life. For a given performance level, they also tend to be the most expensive option. PC based oscilloscopes often offer cost-savings over their bench-top equivalents, and have the advantages of a large color display, faster processor, storage and data-sharing capabilities, and a keyboard for annotations. PC based scopes come in two flavors: internal and external. Internal PC based scopes are usually PCI or PCIe format plug-in cards and are tied to being used with one desktop PC. 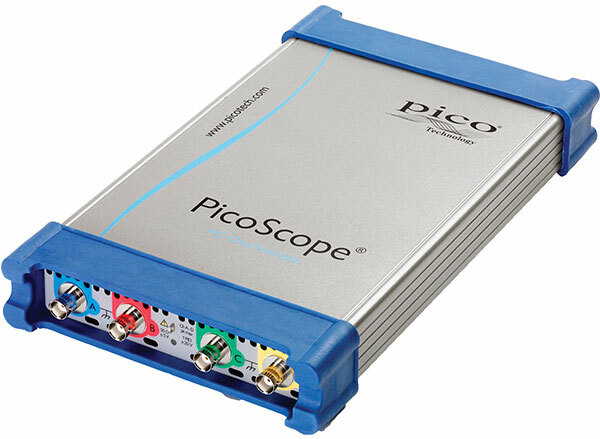 External PC based oscilloscopes like PicoScopes come in very portable small boxes that connect to a PC via a USB port. They can be used with desktop or laptop PCs, making them ideal for field use, as well as for bench top design and debug tasks. 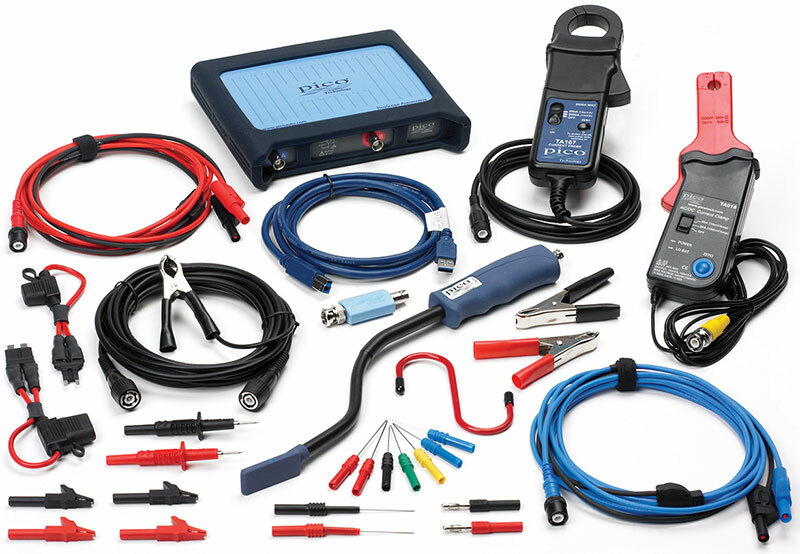 There are dedicated automotive PicoScopes with isolated inputs and adapters that are specifically designed for vehicle investigations. Bandwidth is the maximum frequency of signal that can pass through front-end amplifiers. Most scope manufacturers define the bandwidth as the frequency at which a sine wave input signal will be attenuated to 71% of its true amplitude (-3 dB point), i.e., the displayed trace will have 29% amplitude error. If the input signal is not a pure sine wave, it will contain higher frequency harmonics. For example, a 20 MHz pure square wave viewed on a 20 MHz bandwidth scope will be displayed as an attenuated and very distorted waveform. As a rule of thumb, buy a scope with a 5x higher bandwidth than the maximum frequency signal you wish to measure. 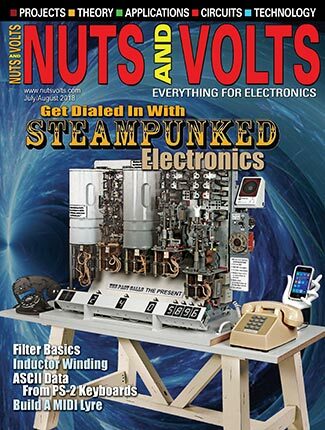 Be aware that on some scopes, the quoted bandwidth is not available on all voltage ranges! For digital scopes, sampling rate and memory depth are equally important. The Nyquist criterion states that the sampling rate must be at least twice the maximum frequency that you want to measure. For a spectrum analyzer, this may be true, but for a scope you require at least five samples to accurately reconstruct a waveform. Most scopes have two different sampling rates/modes depending on the signal being measured: real time and equivalent time sampling (ETS) — often called repetitive sampling. ETS only works if the signal you are measuring is stable and repetitive, since this works by building up the waveform from successive samples. Many scopes have different sampling rates, depending on the number of channels in use. Typically, the sampling rate in single channel mode is twice that in dual channel mode. Most scopes come with two channels so you can compare the relative timings of two signals. Four channels might be more useful to you if you’re working on stepper motors or cars, for instance. Eight channels are available on some PC based scopes, and they can even be synchronized in mutiples in case you have the need. The waveform capture rate refers to how quickly an oscilloscope acquires waveforms. 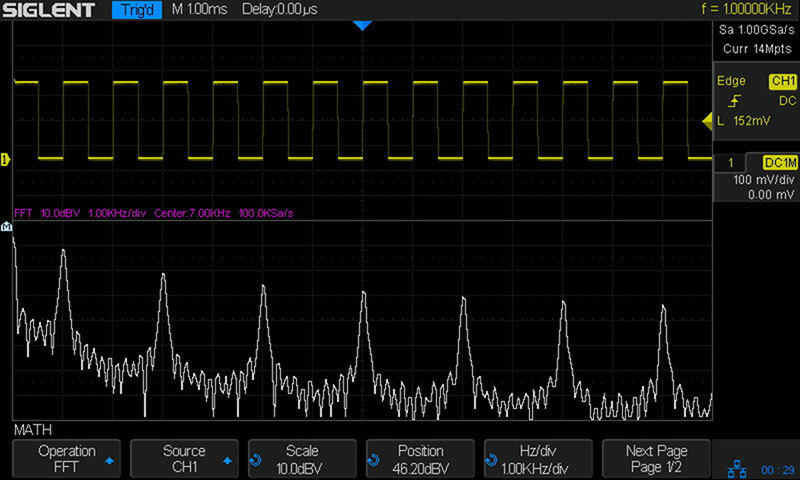 If finding and debugging random and infrequent problems is important to you, then waveform update rates are an important consideration in choosing the oscilloscope for your measurements. Update rates directly determine an oscilloscope’s probability of capturing and displaying random and infrequent events. Memory depth is perhaps the least understood aspect of a DSO — but is one of the most important. DSOs store captured samples in a buffer memory. So, for a given sampling rate, the size of the buffer memory determines how long it can capture a signal before the memory is full. A scope with a high sampling rate but small memory will only be able to use its full sampling rate on the top few timebases. A large memory will let you zoom in on small, fast, infrequent glitches. Bigger is better! 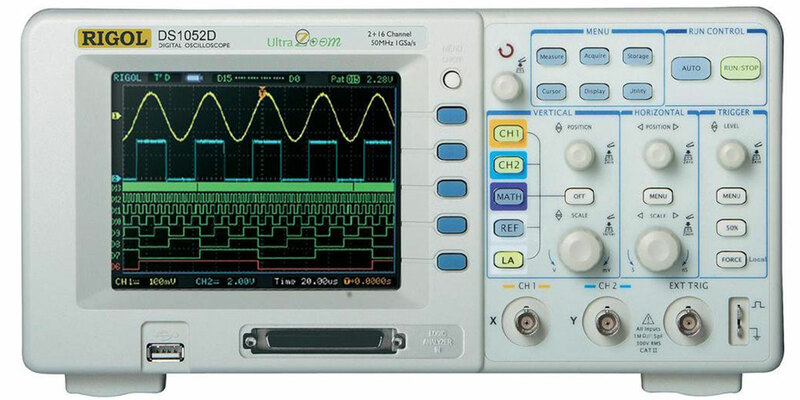 Almost all oscilloscopes have eight-bit A/Ds, i.e., the voltage range is divided up into 256 vertical steps (2^8 = 256). With a /-1V range selected, this equals around 8 mV per step. This may be okay for viewing digital signals, but is not the best for analog signals — especially when using the scope’s FFT (Fast Fourier transform) spectrum analyzer function. In digital electronics, a signal change of 1% is usually no problem, but in audio and other analog electronics, 0.1% distortion or noise can be disastrous. With eight-bit resolution, you can detect at best a 0.4% signal change. For applications such as audio, noise, vibration, and monitoring sensors (temperature, current, pressure), an eight-bit oscilloscope is often not suitable, so you should consider 12- or 16-bit alternatives. A DSO’s accuracy is not usually regarded as too important. 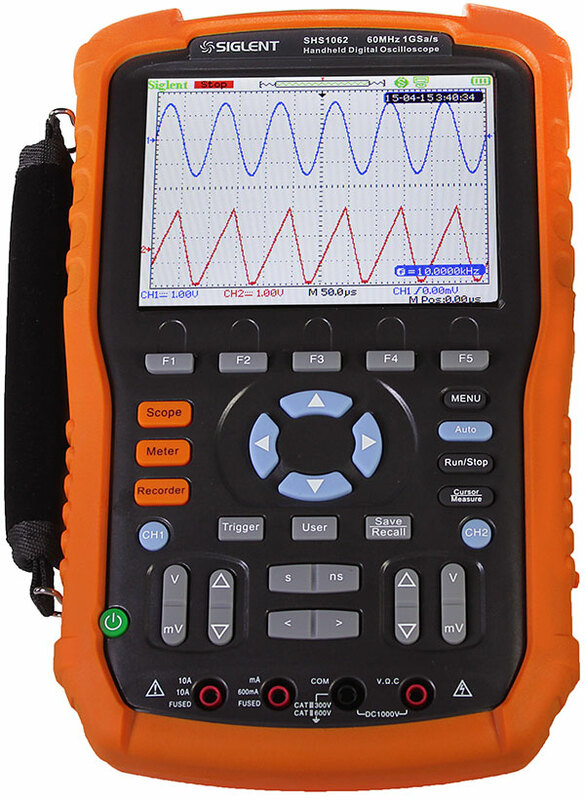 You can make measurements within a few percent (most eight-bit DSOs quote 3% to 5% DC accuracy), but a multimeter is better suited for more accurate DC and pure AC measurements. 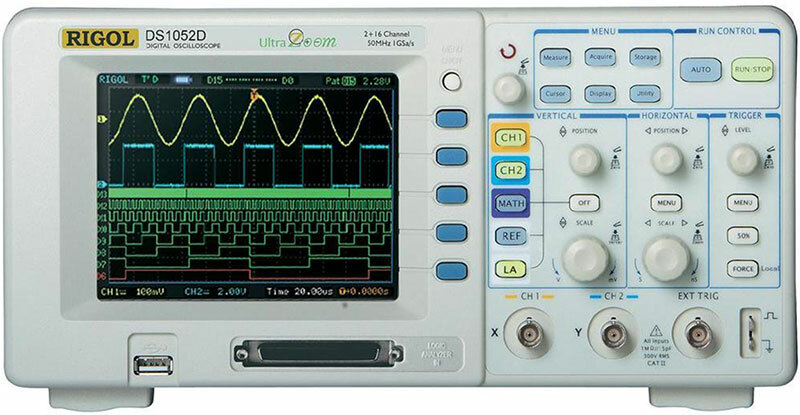 With a higher resolution oscilloscope, more accurate measurements are possible (1% or better). Oscilloscopes with both a high resolution (12 bits or more) and a high DC accuracy are often referred to as precision oscilloscopes. A scope’s trigger function synchronizes the horizontal sweep at the correct point of its signal. This is essential for clear signal characterization and a steady display. Trigger controls allow you to stabilize repetitive waveforms and capture single-shot waveforms. All digital scopes offer the same basic trigger options (source, level, slope, pre/post trigger) but differ in more advanced trigger functions. Pulse triggers are useful for digital signals, and an automatic save to memory option can be a great help when tracking down intermittent faults. Scopes now often offer pass/fail and mask capabilities too. Typical scopes offer selectable full-scale input ranges from ±50 mV to ±50V. 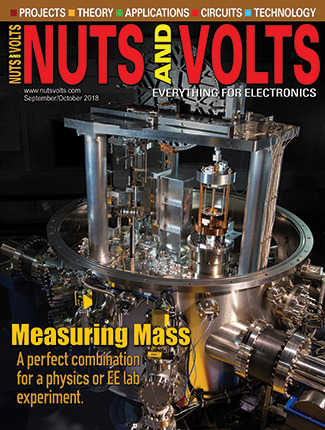 Higher voltages can be measured using 10:1 and 100:1 attenuating or isolation probes. An important factor is to check that the scope has a small enough voltage range for the anticipated signals. If small signals (less than 50 mV) are often encountered, consider buying a scope with a 12- or 16-bit resolution. A 16-bit scope has 256 times the vertical resolution of an eight-bit scope, making it possible to ‘zoom in’ on millivolt and microvolt level signals. Digital oscilloscopes usually offer a variety of connectivity capabilities. These can include RS-232, LAN, and USB 2.0 interfaces for control or data download. USB sockets for memory sticks are also useful for transferring data to PCs for reports, etc. Some oscilloscopes let you export waveform data as Excel files, while others only allow you to store screen captures as jpg images. Both are useful for printing out results or entering into Word files. The ability to perform “hands-off” scope control via a PC may be vital to your needs or irrelevant, but worth considering. Automatic measurements, built-in pass/fail analysis with relay output, and math functions can save time and make your life easier. Measurement statistics, reference waveform storage, and FFT capabilities are available on many oscilloscopes, allowing you to display modified signals or frequency spectra. 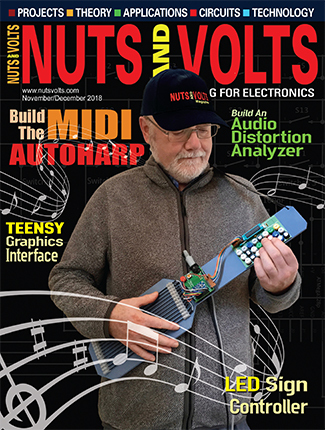 Averaging helps to remove noise issues; digital persistence allows you to spot glitches more easily; math capabilities mean you can invert, add, subtract, multiply, divide, or scale channels; or even create your own functions. Some scopes offer “one-touch” automatic setup, or a number of memorized setup configurations, increasing a scope’s ease of use. Others include a built-in help system to save you constantly referring to the manual. Some scopes dispense with dedicated user-friendly rotary knobs, and replace them with cheaper buttons for often-used adjustments such as vertical sensitivity, time-base speed, trace position, and trigger level. Downloading the scope’s manual from the vendor’s website will give you an indication of how intuitive it is to operate the oscilloscope while concentrating on your circuit under test. 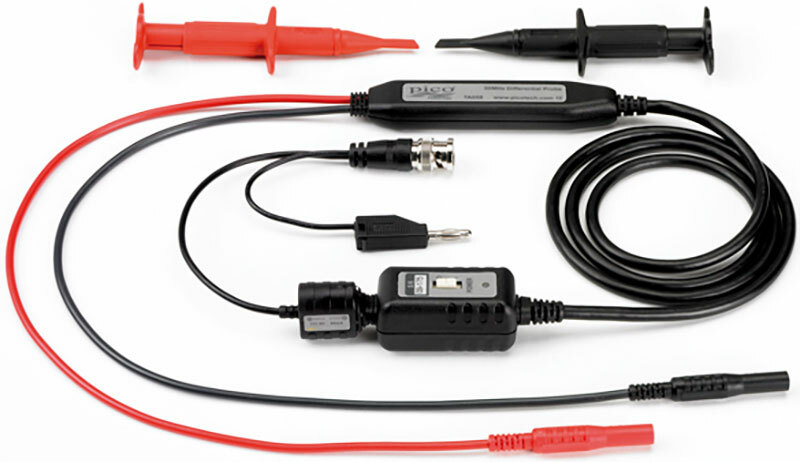 Finding an oscilloscope that is easy to use can save you a great deal of frustration later. Do you need remote control via LAN or USB? Also, check if the scope’s software is upgradeable at no charge and easily available via an Internet connection. Finally, check the length of warranty. If your unit fails in use, will the vendor make repair an easy process? If you need to do digital debug too, a mixed-signal scope may be very handy. Some scopes now come with an MSO socket on the front panel with eight or 16 digital channels so you can upgrade at a later date. 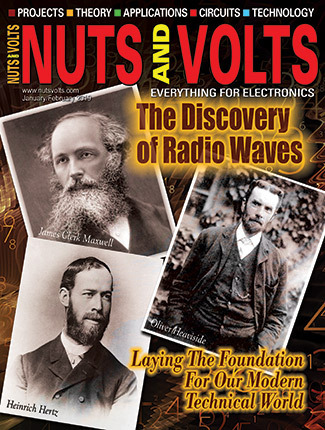 This is useful if you need a signal source for testing, or to do sweep tests for frequency response. 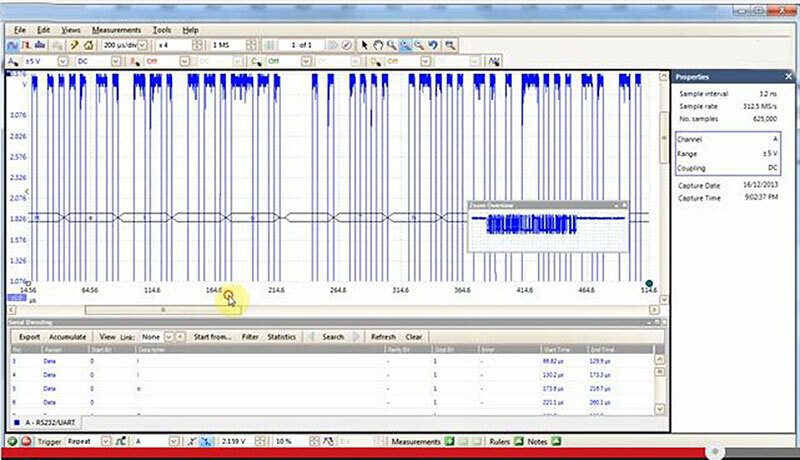 Most AWGs supply common waveforms like sine wave, square waves, sawtooths, and pulses, but they also come with PC software to allow you to create a custom waveform. A neat feature of some AWGs is the ability to take a captured scope input signal and reproduce it continuously. If you find you need other features at a later date when you either can afford or need them, check about upgrade capabilities. Many functions have software unlock keys so you can boost your scope’s functionality down the road, but some specs are hardware-driven and you need to make the right choice the first time! There are economical scopes available now with capabilities that rival the big name manufacturers at well below $1,000. Once you’ve chosen the form-factor, the selection priorities to consider are: value/money, bandwidth, sample rate (real time and/or equivalent time), and memory depth. Note that bandwidth and sampling rate are not upgrade options on most DSOs, so once you’ve bought your product of choice you are stuck with your decision. “Hacking” upgrades are not recommended as they void a manufacturer’s warranty. Alan Lowne is CEO of Saelig Company, where you can find a wide range of affordable scope solutions, from introductory USB scope adapters at under $120, to sophisticated yet economical stand-alone scopes, to high-end 12-bit 2/4 channel mixed-signal scopes that cover 1 GHz signals, as well as offering 8/16 channels of simultaneous logic analysis — even up to the world’s fastest 12 GHz sampling scope adapter. Details at www.saelig.com/category/PS.htm.